I just spent a week in the Southern Cone in Latin America, meeting with policy makers, political analysts, think tanks, NGOs and local investors. Key observations on politics, macro, ESG and investment conclusions are given below. Despite only winning 40% of the vote in the recent mid-term elections and lacking a majority in the lower House of Congress, President Macri and his Cambiemos coalition have strong momentum. Furthermore, they are making rapid progress in passing reforms (capital markets, labour, pensions) as moderate Peronists1 we met with on the trip clearly have a strong incentive to co-operate. No-one wants to be closely associated with former President Cristina Kirchner’s radical Peronists right now. The rapid signing of a fiscal pact that lowers provinces’ deficits reflects this degree of cooperation, including those still run by radical Peronists (i.e. the hard left). This paves the way for pension reform and further long-term controls on government spending. Meetings with Provincial Finance secretaries were encouraging in terms of the coherence of their fiscal adjustment programmes in the national context. While the resurgence of the centrist political parties in Argentine politics remains fragile for now, the electoral institutions are designed to support this trend. Most importantly, whilst President Macri is now the favourite for 2019 Presidential elections, his coalition includes a number of impressive potential successors from the next generation. This includes the Governor of the Province of Buenos Aires Maria Eugenia Vidal. Encouragingly, several political analysts who we met with believed that a sustainable rebalancing of Argentine politics is likely. Argentina’s macro adjustment remains challenging given its heavy reliance on external borrowing over the next 2-3 years to sustain the fiscal deficit. In our meetings with the Economy Ministry, Finance Secretary and Central Bank this was clearly acknowledged as the major challenge for 2018/19. However, fiscal performance for 2017 appears set to exceed expectations of -4.2% of GDP deficit, making next year’s -3.2% target much easier to reach. Most importantly, with bank credit/GDP at 14% after a decade of financial autarky (Sudan is 22%, DRC 13%), financial deepening (i.e. 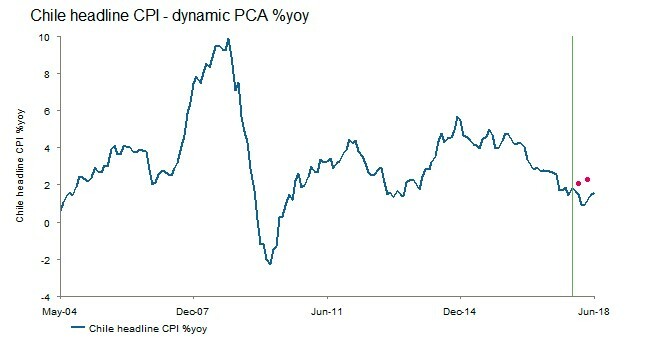 increased credit availability) provides an engine for growth which can facilitate this period of rebalancing. Banks we met see loan growth of 50-70% in coming years despite high real interest rates (i.e. adjusted for inflation). The other great challenge is to bring down inflation, still close to 23% year-on-year. The central bank has set the policy rate to nearly 30% (12% in real terms) but this measure will only work slowly. Further reductions in utility and transport subsidies will keep inflation very high in coming months. However, 2018 will see a new approach to wage negotiations which will seek a nominal settlement with a ‘trigger’ to protect workers if the central bank fails to bring down inflation. This should break indexation and start the long journey towards low double digit price rises. The current account deficit will likely stay in the 4-5% of GDP range for coming quarters, which reflects the increasing investment expenditure and gradual fiscal adjustment. But with foreign direct investment and equity issuance only just starting, a benign global environment should help secure this funding. A range of investors such as US banks are currently restricted from investing but should soon be able to place money in the country. At some point the real exchange rate will have to adjust to a weaker equilibrium, but that appears to be a dynamic for later in 2018. Nowcasting: Econometric modelling is inherently imperfect and not a reliable indicator of future results. Nowcasting models are used to predict short-term economic dynamics. Nowcasting estimates are based on our proprietary dynamic factor models using third party data. These models are only utilised as part of the team's wider investment analysis. Given the rapid policy reform and heavy focus on growth, ESG considerations have taken a backseat for now. Nevertheless, more will be needed over the longer term, providing the inequality that fuels Peronist governments doesn’t re-emerge. That said, there remains a growing focus on social as well as commercial infrastructure, most notably in Argentina’s G20 Presidency which started last week. Pleasingly the agricultural sector has made some efforts to adopt approaches such as no-till farming to limit environmental costs, with policy-makers in that sector thinking about long-term stability. However as we heard from NGOs, we need to carefully monitor the risks to land and water security from the expansion in lucrative sectors like fracking and lithium mining. At present, most economic policies are focused on cyclical growth, but efforts to deepen credit and promote financial inclusion will be important to spreading growth dividends more broadly. Despite a strong and sustained rally, further gains appear possible in hard currency government and corporate bonds, with valuations still attractive in a number of provinces whose fiscal improvements are mirroring those of the national governments. Local investors also see continued opportunities in that area. Equity markets trade around 14x forward P/E2 and do not fully price the potentially positive impact of ongoing reforms, especially in sectors such as banking. Local investors now also look for opportunities in real assets, including PPP infrastructure and renewables3 . In local currency bonds, we believe the next round of wage and subsidy reforms needs to be passed before we see value in longer dated nominal bonds. Shorter instruments yielding close to 30% offer high real rates and an attractive risk adjusted investment in our view. 2018 wage negotiations will be key to cementing both fiscal and inflation adjustments. Argentina will be very vulnerable to global financial shocks over the next two years, more than almost any other EM country. Ruling Frente Amplio is delivering a very consensus-driven centre left platform, mixing a lot of market-based economics with some more socially oriented policy. Policy-makers highlighted the continued focus on free enterprise zones and financial services of evidence of a pragmatic and mixed model. Opposition parties we met with are focused on the efficiency of the government’s delivery, including the management of public sector utilities and are not proposing radical policy changes. The government highlighted a sizeable adjustment in the balance of payments, supported by renewable energy investment. This leaves Uruguay’s external position much stronger and helps stabilise the nominal exchange rate. 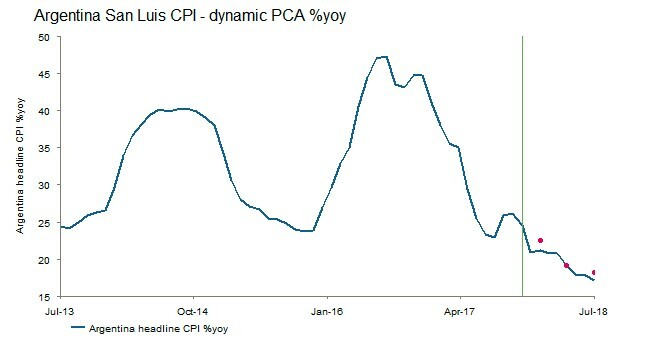 Combined with the second year of a new approach to wage negotiations (being copied by Argentina, above), this FX stability offers the chance to bring inflation down towards the lower end of the target range at 5% year-on-year. Nevertheless, we think this relaxed political back-drop is taking some urgency away from the central bank’s inflation targeting which we conveyed throughout our meetings. This same relaxed attitude is also pervading the ongoing fiscal adjustment, which has relied too heavily on revenue raising and adjustments of the finances of public sector utility companies. Nevertheless, with major FDI due in transport infrastructure and industry, growth at 3.5% year-on-year should keep the fiscal balances in check. While radical economic reform does not appear likely in the short-term, ESG policies have borne some fruit. 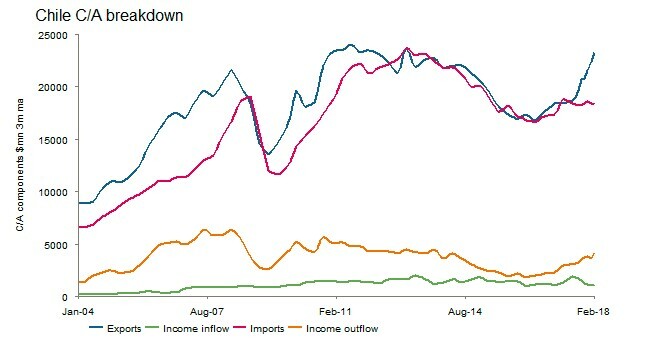 A progressive approach to renewable energy investment has materially reduced import dependence. The education sector remains a clear weakness, particularly at the secondary level, due partly to the heavy influence of teaching unions. Pleasingly, political consensus is moving towards addressing some of these issues. We met with think tanks working on innovative solutions to this problem which are now getting political air time. As renewable energy investment has matured, government focus has shifted to other forms of infrastructure such as transport that will be required to make growth more regionally inclusive. Longer dated local bonds continue to offer some value given the external stability and the potential for a further structural reduction in inflation. Major local investors continue to focus on inflation linked assets, but are also branching out into infrastructure and renewables financing. A long lead into 2019 elections may prevent potential monetary policy and fiscal gains from being achieved. The second round Presidential election (17 December 2017) between right of centre former President Pinera and the government candidate Guillier from the left is fast approaching. Political analysts we met with are unable to predict the all-important marginal shifts in turnout, especially after the surprise 20% showing of the new Frente Amplio (Broad Front) coalition which has appeared as a challenge to the traditional socialists. This movement bears a close parallel with Podemos in Spain. Local market participants perceive the election to be very binary, and it is certainly true that a Pinera victory would likely unlock cyclical consumption and investment, taking 2018 growth closer to 4% year-on-year. However, in our meetings with policy makers on both sides, we found many areas where there were not radical differences in policy vision. But clearly there is room for more pro-growth implementation under Pinera. Reassuringly Guillier would control only 30% of Congress, making it hard to push any extreme policies. Growth has been below potential now for three years. The combined effects of a cyclical shock on the copper mining sector and well-intentioned but poorly executed fiscal reform both capped investment. 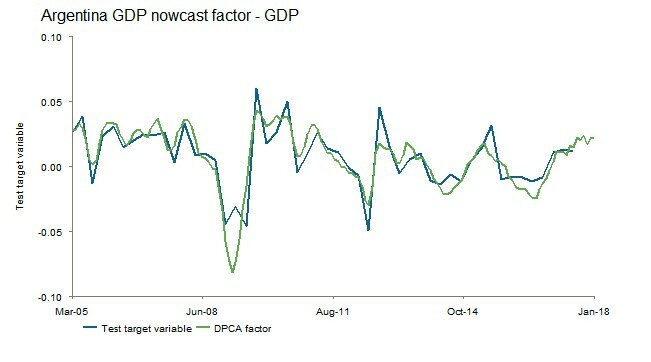 The deterioration in fiscal performance partly reflects the weak domestic growth environment. Our meetings with the finance ministry suggested that the deteriorating fiscal balance would not improve if the current government were re-elected. Weak growth has left inflation below target, but unless we see a post-election growth downturn we would not expect further rate cuts. Higher copper prices, weak growth and diversification away from oil have in fact led to a healthier current account position. Source: Haver, Bloomberg, National Institute of Statistics, IAM calculations November 2017 Nowcasting: Econometric modelling is inherently imperfect and not a reliable indicator of future results. Nowcasting models are used to predict short-term economic dynamics. Nowcasting estimates are based on our proprietary dynamic factor models using third party data. These models are only utilised as part of the team's wider investment analysis. The outgoing government of Michelle Batchelet has made material strides in environmental, education and gender policies. However, poor execution often resulted in costs to short term economic growth. Given that wealth inequality is amongst the widest in the region, efforts to broaden tertiary education access have been critical, although not accompanied by sufficient efforts to raise standards and completion rates. This issue remained a hot topic in almost all our meetings, especially with the Finance Ministry but also local investors. Local NGOs stressed that more is needed in terms of strengthening environmental institutions to tackle deforestation and the impact of commercial fish farming on water resources. Furthermore, the government stresses the importance of not rushing approvals for extractive projects such as iron ore with questionable long-term cost benefits. Given the recent sizeable correction in markets, there may be value in the short-term in the Chilean peso and local equities even after the initial headline response. A Guillier victory would be challenging for markets, although any excessive reaction in the currency and longer-dated local bonds would potentially open up long-term value. 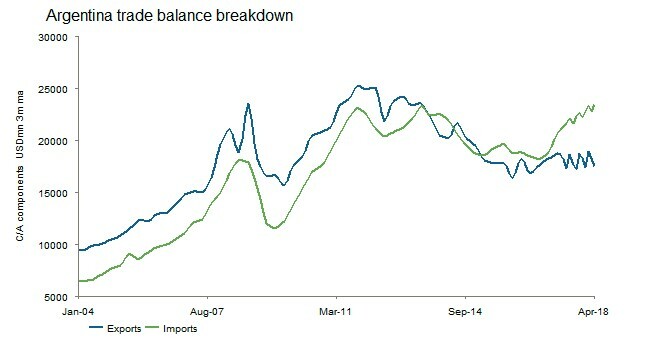 The policy consensus which still exists alongside low levels of debt and inflation makes this trade even appealing. Local pension funds would likely also provide support for those bonds at a certain level. 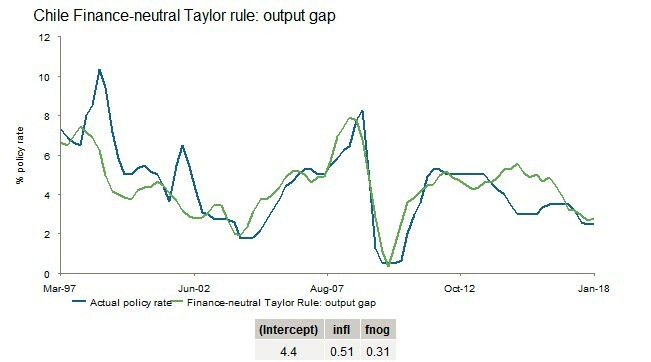 Clearly, a win for the left followed by policy grid-lock would not be good for growth sentiment. Longer-term, we would be equally concerned about a Pinera administration which sharply reversed recent ESG policies in an all-out pursuit of growth, as this could have destabilising political repercussions further down the line. 1Peronism – is a brand of populist and nationalistic politics that has a history dating back to the mid-1940s in Argentina. 3PPPs often involve a contract between a public sector authority and a private party.